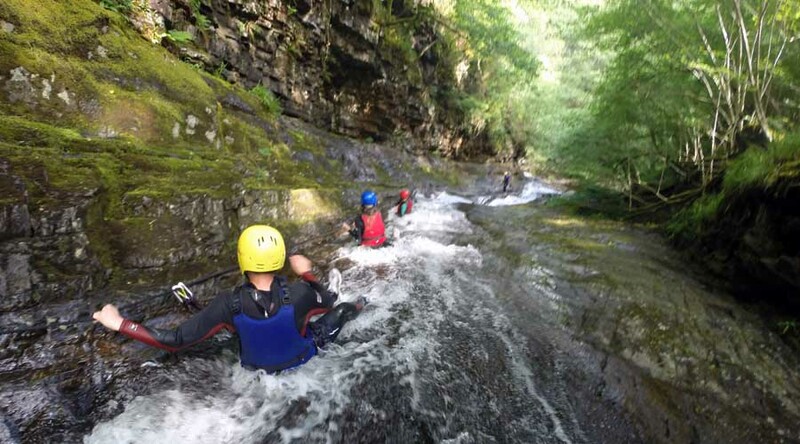 Come and join us on our Canyoning adventure. 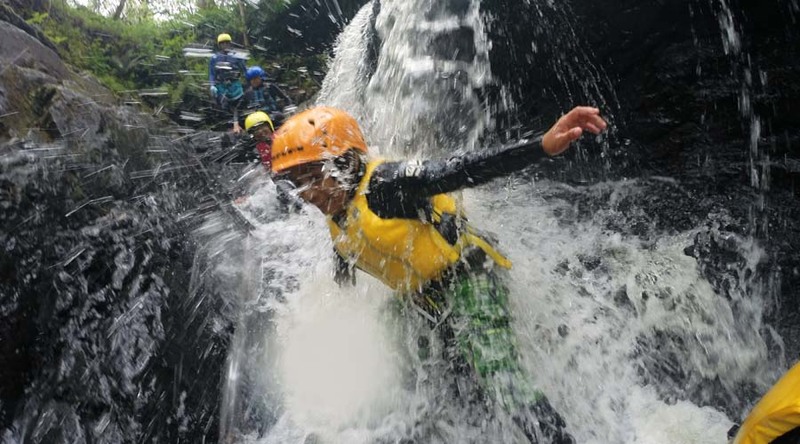 This is similar to Coasteering, except you're in the river not the sea! 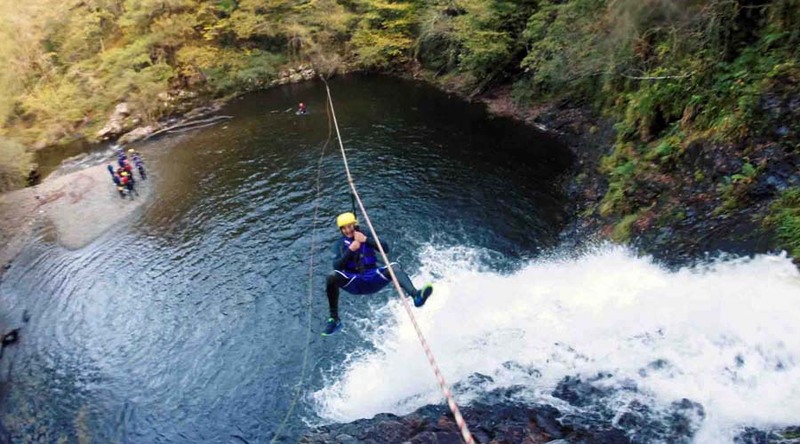 The canyon is more adventurous than the gorge, but less adventurous than the Xtreme trip. 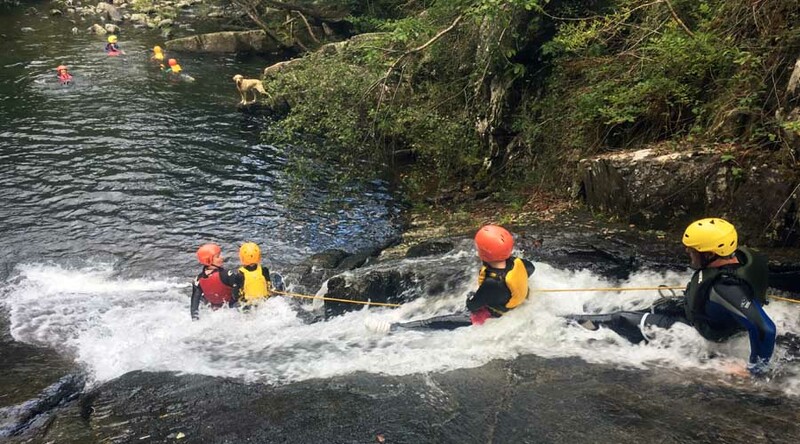 We swim, slide, jump and scramble down the cascading mountain river. The obstacles are all avoidable if necessary and the scenery is spectacular. 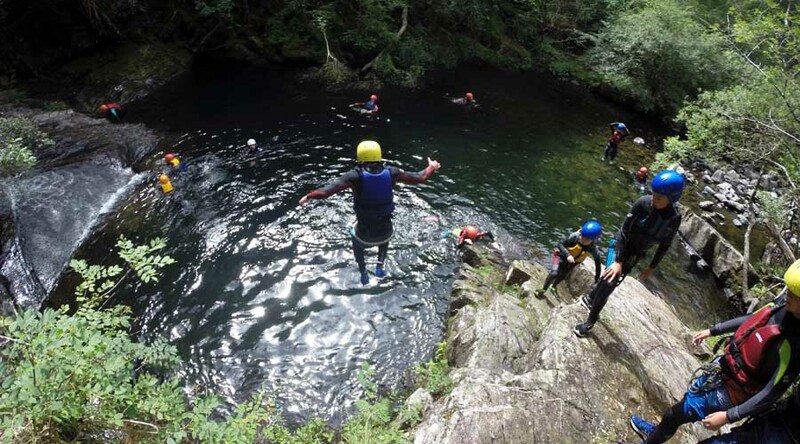 The river is set deep within a mountain gorge, in an Ancient Atlantic Oak woodland. We start of with a mini canyon section at the top, jumping in and going under 'The Curtain'. There's some slides, pools and jumps up to 10ft high. After more sliding, swimming and scrambling, the canyon ends with a series of huge roped cascading slides that lead to the main waterfall. With a small group (<10 people) we abseil off, with a bigger group (and 2 guides) we zip-line! Under normal conditions, good swimming ability isn't necessary (you're wearing a BA so you float) but a fear of water isn't helpful!